The Florida Everglades is a 9,000 square mile watershed that runs from the center of the state at the Kissimmee River Basin into Lake Okeechobee, from where it overflows and fans out across the southern third of the state from the east coast ridge to the west and southern coasts into Florida Bay and the Ten Thousand Islands near Naples. At one time, there was nothing to obstruct the sheet flow of water, but that changed as development began and it was thought that a lot of land could be gained by draining the Everglades. There was little understanding of the vital importance of the Everglades system to the Biscayne Aquifer and the availability of water for cities, farming, ranching, and hunting. The 1950s saw explosive growth in Miami and the combination of flooding from hurricanes and desire for land to develop, led to an attempt to control the flow of water (to suit developed areas and development, not wildlife) by digging canals with levees and locks. To the north, around Lake Okeechobee, the rich soil was being used to grow sugar, putting phosphorus into the system that causes a change in the plant stability and allows invasive species to crowd out the natural flora. 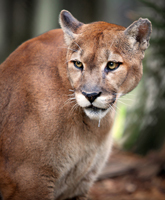 Mercury also entered the system and has been found in panthers. South Florida’s geology of porous limestone underneath and peat layers provide the perfect conditions for water collection during rainy seasons. During natural droughts, the holes and pockets in the limestone make water available to last until the next wet/dry cycle. Unfortunately, with the demands of populations, now on both coasts, when there is too much water in developed areas it is released into the Everglades, causing a deluge there since the natural “sheet flow” has been fragmented. And during droughts, the water is provided to the cities, causing the natural Glades fires to be excessive, thus damaging the ecosystem and threatening endangered species. 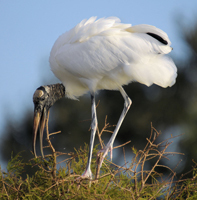 Restoration efforts are always being debated and implemented slowly, but people are beginning to appreciate the importance of this ecosystem to the well being of all Floridians, visitors, and our wildlife that make south Florida so unique. The shallow limestone layer underneath is called the Biscayne Aquifer and it is the primary source of drinking water for all of south Florida. When the limestone water pockets are drained too much in order to provide fresh water to cities, the pockets can fill instead with salt water, and the sweet water is then no longer potable there. When heavy rains, the only source of new Everglades water, fill Lake Okeechobee to overflowing, and the “sheets” of water make their way south, filling the limestone pockets and dumping the excess into Florida Bay, it prevents salt water “intrusion” from the coasts. The complex interconnection of diverse ecosystems that blend together to comprise the Everglades makes it unique in the world. 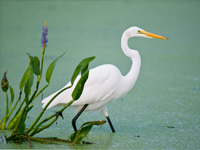 There are more than 65 endangered and threatened species that live in the Everglades: numerous plants and insects, including butterflies; giant wading and fishing birds, like the Great Blue Heron, Roseate Spoonbill and Wood Stork, and birds of prey, such as eagles, hawks, and falcons; amphibians and reptiles, such as alligators and crocodiles; and mammals like the Florida Panther, the Florida Manatee, river otters, and Black Bear. 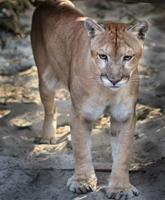 Many of Florida’s endangered species are dependent on the Everglades for their survival. Everglades National Park protects 20% of the remaining Everglades area and is bordered on the northwest by Big Cypress National Preserve. 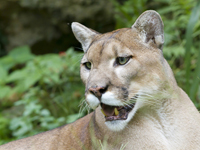 If you decide to take a day or so to explore Everglades National Park, depending on which of the diverse areas you choose (sawgrass marsh, mangrove swamp, pine woods, hardwood hammock, or beach) you will see unique species of wildlife. 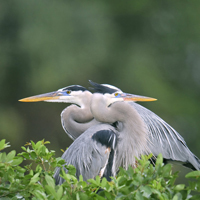 More than 350 species of birds have been documented in the park making it a birder’s paradise. 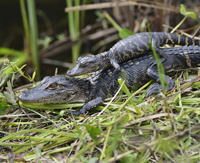 Everglades National Park has access points from either coast. From Naples, heading south will land you at Ten Thousand Islands or continue south into the park. Park rangers are well prepared to receive interested visitors and the park itself offers activities for the day or longer, depending on what you are most interested in seeing on this trip. 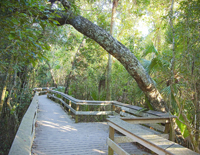 There are walking tours with boardwalks and paths through a variety of ecosystems for bird and butterfly watching and plant identifying; boating, canoeing, kayaking, snorkeling; and you can guide yourself from information provided at one of the visitor’s centers or join in for an organized educational tour. There are numerous camping areas and for those who prefer motel comfort there is the Flamingo Inn. All visitor centers, camping areas and boardwalks, except the most remote, have handicapped access. Do not feed or harass wildlife. Do not remove plants; some orchids and bromeliads are endangered. Extinguish fires and ignite them only in approved areas. 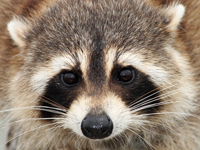 Properly deposit garbage in receptacles. Be a good steward of our natural environment so that others can enjoy its beauty into the future. 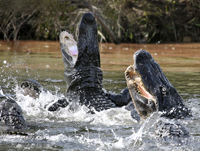 You’ll find many activities outside of Everglades National Park that offer a similar experience. Big Cypress National Preserve and Corkscrew Swamp Sanctuary are also protected parks that are part of the Everglades system. You can visit local Seminole and Miccosukee shops and take an airboat ride into the watery grass to look for gators and white tailed deer. And there are tours to take you to see Manatees. No matter what facet of the Everglades you choose to explore, it will be an adventure like no other.